He was born in London, England on March 8, 1884 and died in New York City on January 13, 1954. He attended the Brompton Oratory in London for both primary and secondary school; which some credit for his conversion to the Catholic faith at the age of 18. 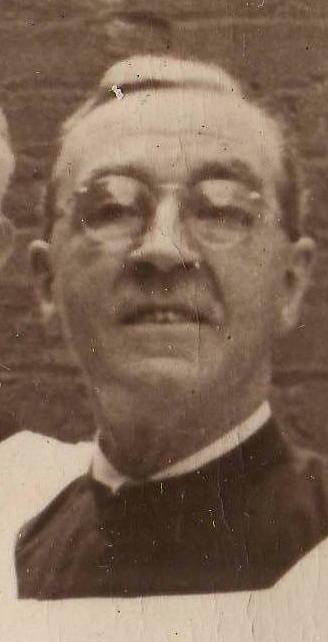 From 1903 to 1909, he served as assistant organist and choirmaster at the newly opened Westminster Cathedral in London, England under the tutelage of Sir Richard Runciman Terry. 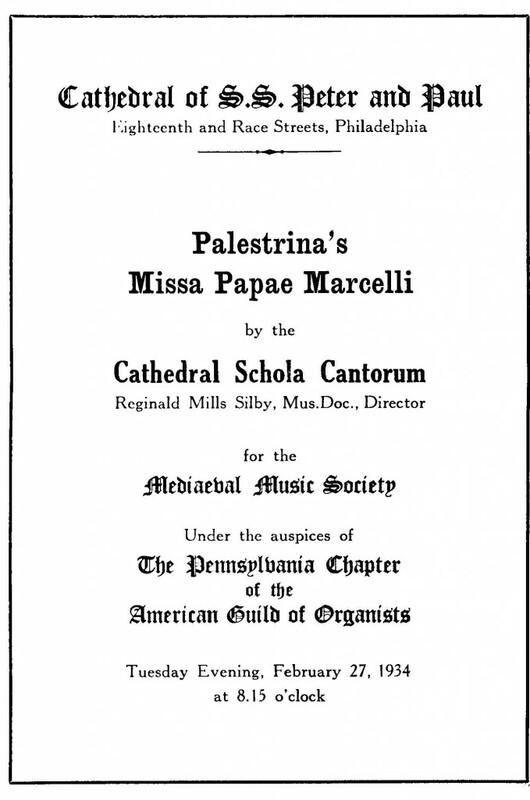 He came to the United States in 1909 and served as organist and choirmaster at St. Patrick’s Church in Washington DC from 1909 to 1919 and St. Cecilia’s Cathedral in Omaha, NE from 1919 to 1925, before coming to Philadelphia to serve as organist and choirmaster at the Cathedral of Saints Peter and Paul in Philadelphia, PA from 1925 to 1935. During his time as Organist and Choirmaster for the Cathedral of Saints Peter and Paul, he formed the Cathedral Men and Boys Choir as well as a Medieval Chorus. There were no professional or paid singers in the choirs during Dr. Silby’s time and attendance by the volunteers for practices and even Masses was said to be sporadic at best. He insisted on strict adherence to the “Motu Proprio” of Pope Pius X and programmed only chant and sophisticated polyphony. He was one of several music directors involved with a music conservatory in downtown Philadelphia, but left the conservatory in 1934 due to conflicts with Nicola Montani. He is noted as an exceptional musician who possessed sophisticated improvisatory skills at the organ and he composed several motets and Masses. After leaving Philadelphia, he served as organist and choirmaster at St. Ignatius Church on Park Avenue in New York City from 1935 to 1955. These are recollections of Dr. Silby as given by Carl Gedeik, the nephew of Gerald Stief. 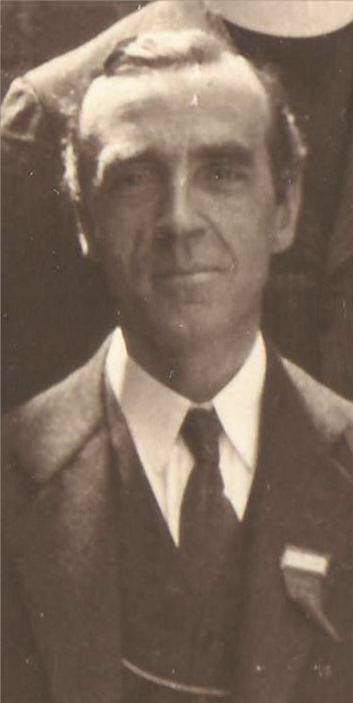 Mr. Stief was the Music Director who followed Dr. Silby. Mr Stief was a student and family friend of Dr. Silby. This is the Introduction from a complete Presentation and Powerpoint from a talk on Dr. Silby given by Organist and Scholar, Dr. Kevin Vogt. 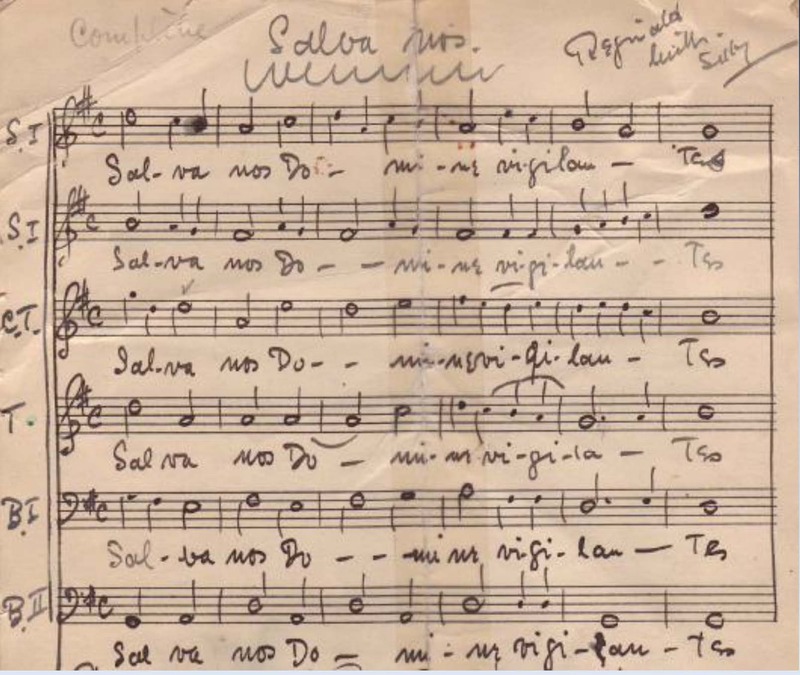 The founding of Westminster Cathedral in 1903, together with that of its choir school, initiated a musical-liturgical praxis that remains the “gold standard” for Catholic church music in the English speaking world. 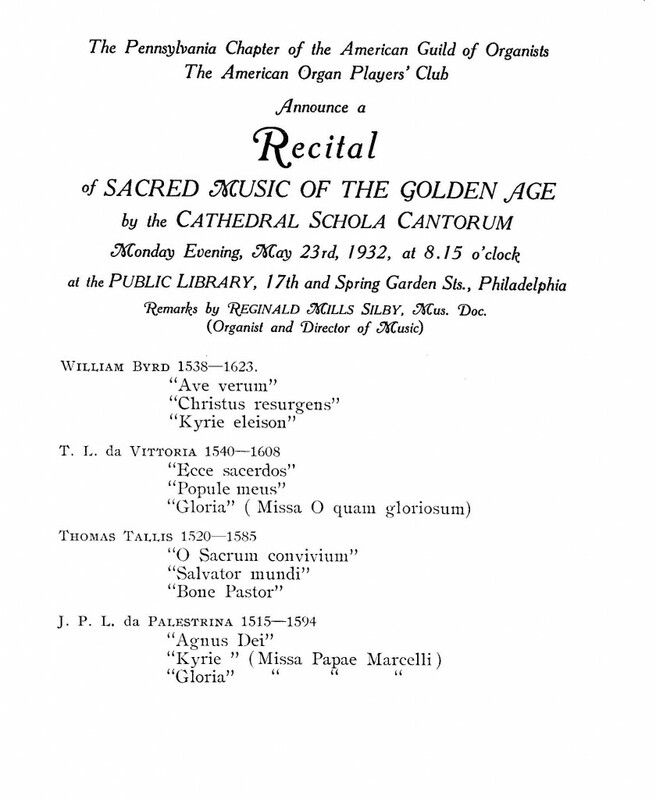 Marked by the revival and recovery of continental and Tudor polyphony, it was a watershed in the history of liturgical reform and the restoration of musica sacra. The vision for the choral foundation of the cathedral was that of the archbishop, Herbert Cardinal Vaughan. 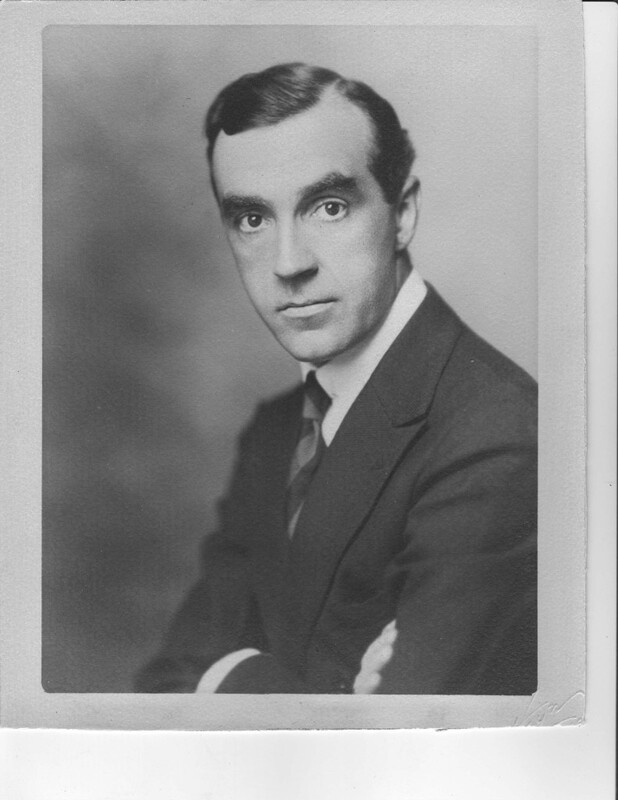 Reginald Mills Silby was Terry’s first assistant at Westminster, collaborating with Terry in choral training, Tudor music research, and the exercise of exemplary sacred music practice. In 1909, Silby immigrated to America, transplanting the Westminster tradition in several important churches through the country, including St. Patrick’s Church in Washington, DC, Saint Cecilia Cathedral in Omaha, Nebraska, SS. Peter and Paul Cathedral in Philadelphia, and the St. Ignatius Loyola Church in New York City. His life and work are worthy of interest, and they point to new areas for research into the Westminster legacy in North America.